This entry was posted on Friday, July 6th, 2018 at 8:06 am	and is filed under MPC, Round2 Models. You can follow any responses to this entry through the RSS 2.0 feed. You can skip to the end and leave a response. Pinging is currently not allowed. I am happy to see this one coming back and am certain that it will do well ! I do hope we see the mixer variation as well! As happy as I am to see all the reissues I think some new or updates to existing tools are in order . You are doing well by the science fiction models but don’t forget about the car and truck modellers! This is the about last of the old truck kits I’ve been awaiting as re-issue, except for the IH CO4070 and F4270 (No. 1 and No. 2 in the old “Blueprint Replica” series). Any chance of those? I’m suspecting a licensing roadblock since Moebius has IH trucks in their line at this time…? It’s great that Round2 is releasing kits that haven’t seen the light of day in ages.I hope that the GMC Astro 95, GMC General, and the Chevy Bison will be released soon as well. Nice to see another classic make a return! All you truck modellers let’s snap this up and Round2 this a good one but let’s do some updated trucks as well . We might be a smaller segment of the model market but I am certain that with the right subject choice a good return on investment is waiting! Even parts packs of different truck bodies, ie mixers ,dump boxes , garbage compactor, wreckers, wheel and tire sets , decals. All could be done with minimum investment on all new tooling. MPC only did a few big rig kits back in the 70s, but they did nice ones. 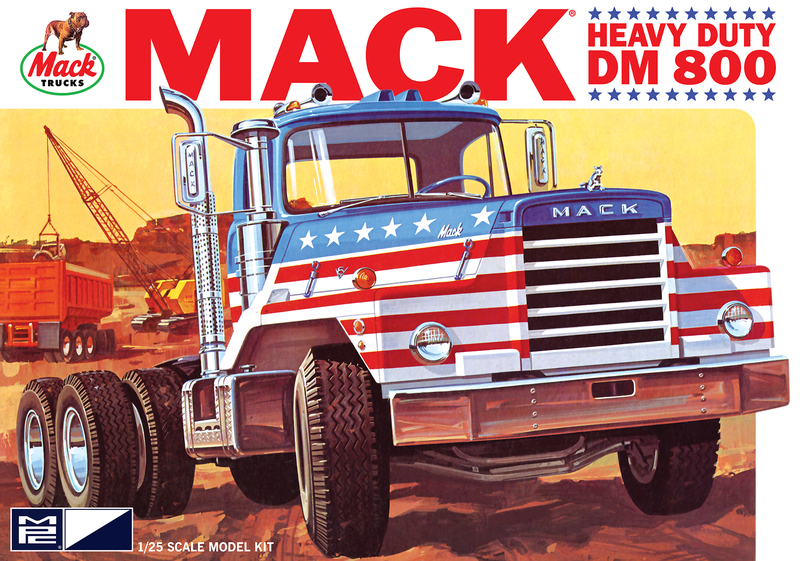 Interestingly, MPC then sold off the tooling for their big rigs to Ertl, who issued them with slightly modified artwork. Even after Ertle purchased MPC in 1986, the kits were never rissued under the MPC banner until now.